Cut 4 hearts out of each fruit strap. Ice the vanilla cupcakes with the butter icing using a palette knife. 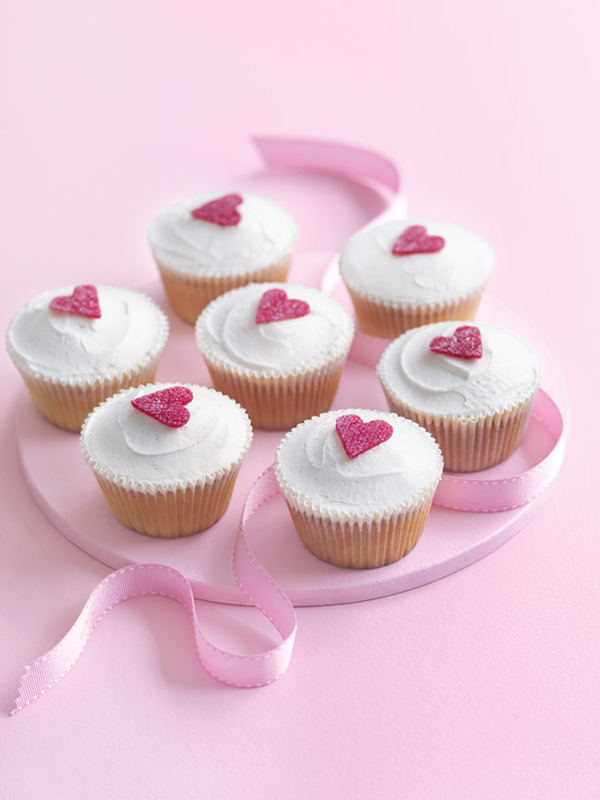 Top each cupcake with a heart.